I quite liked Ubuntu Quantal Quetzal. However, I found it very buggy, with apps and the compiz thing crashing and asking me to relauch. The other problem was the inability to relocate the Unity panel to the bottom or top. So, sadly, I had to move over to Linux Mint. The latest version is called Nadia and it is Mint 14. I prefer to use the Cinnamon desktop although Linux Mate (Gnome2 fork) is also available. I will be posting a screencast in the video page of this web site. On Friday, 14th October, On booting Ubuntu 11.04, I was presented with the option of upgrading to Oneiric Ocelot. However, the upgrade did not work, presumably because the Ubuntu servers must have been busy. I was again presented with the upgrade option on Monday the 17th. This time the upgrade worked. It took an hour and a half to upgrade. It all went smoothly. I changed the appearance (from system settings in the shut down wheel icon) to “high contrast”. The shut down wheel and the volume icons disappeared from the right-hand corner of the top panel. I thought that was a bug in Ocelot. Trawled the Google search for a solution to no avail. Today on 19th October, changed the appearance to “Ambiance” . Low and behold the two missing icons reappeared. I am quite pleased with the upgrade. Ocelot looks great. The Ubuntu Dash Home icon has been moved from the top panel to the unity launcher. The application and files and folders lenses have been removed from Ocelot. The only other application that doesn’t work is Gwibber. It refuses to refresh. I have installed Hotot for now, to look at tweets. The rest is fine. 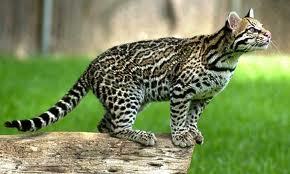 I think I will get used to Oneiric Ocelot. After that close terminal, log out and log in again. Then look for the application in the applications lens. Either install compiz-settings-manager from Ubuntu Software Center or open terminal and paste the following two lines. After installing compizconfig-settings-manager, click on the shut down icon at the far right-hand of the top panel and then click on the “system settings”. In system settings in the Personal group, look for compiz-settings-manager and click on it. In the resulting window look for Desktop and then unity plugin. Click on it. Next click on “Experimental”. In Experimental look for Launcher icon size. It is a slider. The icon size is set at 48 but can be reduced to 32. There are other things such as panel transparency which can be altered. With Ubuntu 11.04 aka Natty Narwhal, Mark Shuttleworth’s team parted with the Gnome Desktop and decided to go with the Unity Desktop. I was quite happy with Gnome and I am also happy with Unity; for that matter I also like Kubuntu’s KDE. Its a matter of getting used to the way applications are organized on the desktop. 1 All icons, the tray at the bottom right-hand, the start button and the applications, places and system on the top panel of Gnome Desktop are missing. 2 Shortcut Icons for all applications, files and folder are called lenses and are ported to the left-hand panel; thus leaving the desktop completely bare. 3 The left-hand panel is now called The Launcher. a) The Ubuntu Icon at the very top, which when clicked opens a dashboard with various shortcuts for applications for documents, music, shotwell photo manager, video( totem movie player by default), Internet applications, browser and email client and Banshee music player. It also has a search-bar to type in anything or any application you might want to look for. b) This is followed by the Home folder lens which is self explanatory. Right click of the mouse reveals sub-folders for Downloads, Documents, Music, Video, etc. It is the same home folder as in Gnome. reveals, writer, calc or spreadsheet, math, draw and Impress the presentation software. d) The Ubuntu software center allows one-click installation of any software from the Ubuntu repository. e) Ubuntu One: Ubuntu provides free 5 gigabyte storage in the cloud. Useful for backing up important documents. If you need more storage space, you can purchase it from Ubuntu. f) I have also moved shortcut icons for Opera, Chrome and Skype to the Launcher. You can drag shortcuts for any application to the Launcher. For this you will have to reduce the size of the shortcut icons from 48 to something like 32. The next blog will describe how to do this. h) CheckGMail: This one informs me if there is new mail in my gmail account. i) I downloaded this application to keep a diary of my daily activity. Every application installed via the software centre offers the option to add it to the launcher. j) This is a work place switcher which permits use of 4 workplaces to work on different applications in each work space. k) Applications: Double clicking it opens a dashboard with all the installed applications a searchbar. If the applications not installed, the dashboard gives the option of downloading it from Software Centre. Right clicking shows the various groups of applications. l) The last one is for files and folders. It also shows recently used files and folders. If you want to remove recent files and folders there is a way of doing this. Watch this space for the method.